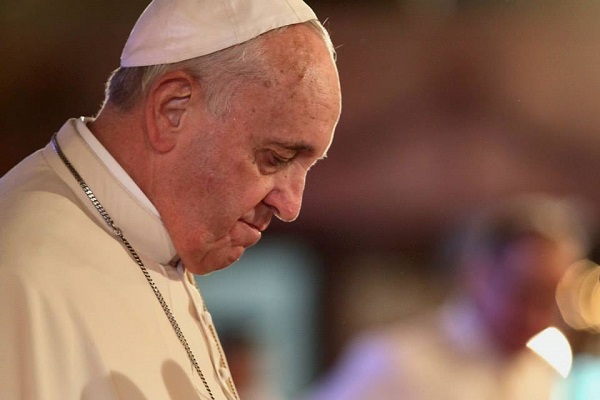 Pope Francis wrote a "Letter to the People of God" in which he requests readers to pray and fast as a kind of atonement for sexual crimes committed by members of the clergy. The letter follows the release of a report which describes in excruciating detail how hundreds of Catholic priests scattered over a total of six Pennsylvania dioceses engaged in horrific sexual abuses of children. The pope admitted that the Vatican abandoned the victims. The content of the letter begins with a standard phrase from the Bible. In this case, Pope Francis quoted Corinthians 12:26, which stated that if one member of the group suffers, all others suffer with it. The letter then went on to acknowledge that no amount of begging by the church for a pardon from the victims will be enough to repair the trauma suffered by the sexual abuse victims. The pontiff admitted that these mental wounds rarely heal. He said the administrative structure of the church is to blame for the heart-breaking pain felt by the victims. The church authorities, instead of helping those who sufferer, ignored them and did something worse: the ecclesiastical authority silenced them. Francis concluded the letter by assuring the reader that appropriate measures have already been implemented since the horrific happenings. The problem is that although the church expressed deep remorse for its victims, it did not spell out any actual plans it wants to follow on the prevention of future crimes. The Vatican is also mum on how the church will punish those priests who committed the crimes. To any observer, it is apparent that the apex Catholic body is more interested to cover up its shortcomings rather than taking proactive steps to ensure this will never happen again. Instead, the pope asked for a bout of prayer and fasting. To be fair to Pope Francis, he intends to do something, but nothing has been done until now. The pontiff even uttered words like the implementation of zero tolerance practices and the accountability of the criminal. He even admitted that these practices should have been implemented long ago and they are now more necessary than ever before. The letter, as critics of the church point out, is silent on the flexibility of the church on celibacy issues or even the marriage ban. The content does not include the repudiation of the Catholic belief that homosexual urges and acting on them are "disordered."